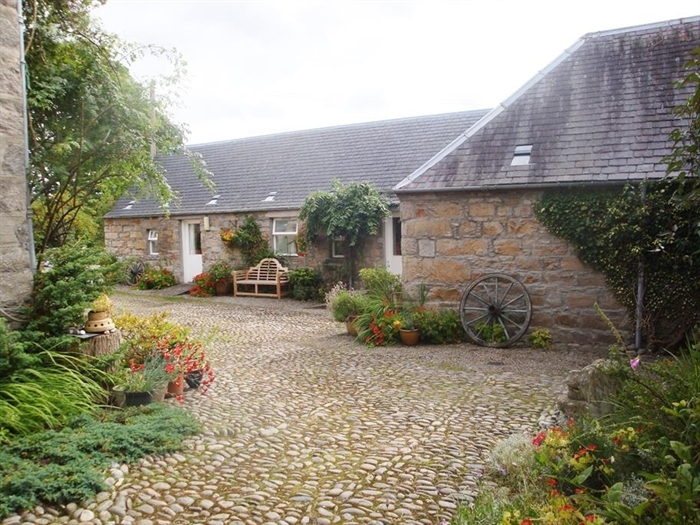 Welcome to Courtyard Cottage where self catering is synonymous with peace, relaxation and luxury; the comforts of a hotel in an idyllic rural location with the space and privacy of your own home. 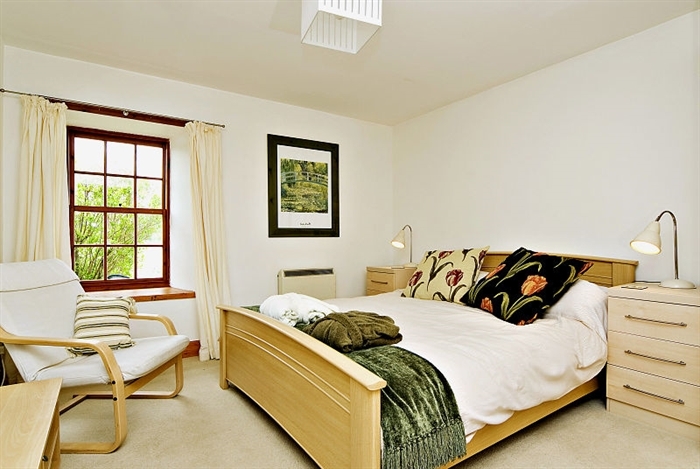 Just minutes away from the centre of Pitlochry, we are perfectly located for you to enjoy a host of local attractions and as a touring base to explore the very best of Scotland. Unsurpassed scenery and ease of accessibility to lochs, castles, historical sites, gardens, wildlife, walks, mountains, natural woodland, rivers, outdoor adventures, golf, fishing, cycling routes, distilleries, restaurants, galleries and theatre has made Pitlochry so appealing since Victorian times. 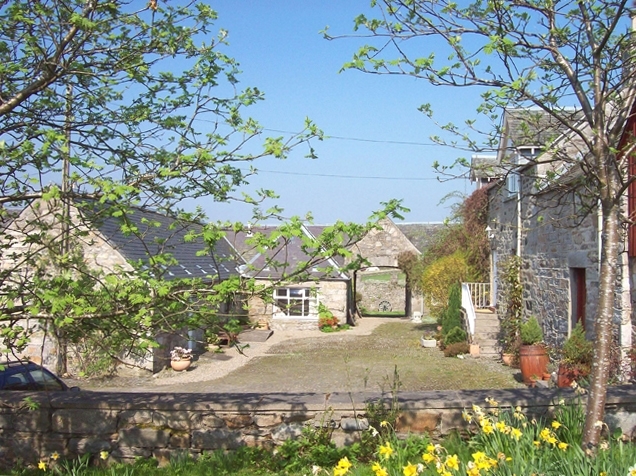 Courtyard Cottage is a charming farm steading conversion, once part of a busy dairy farm dating from the early 1800's. Amidst a chorus of bird song, Courtyard Cottage still features the original cobbled yard and stone archway leading to the cottage garden beyond. 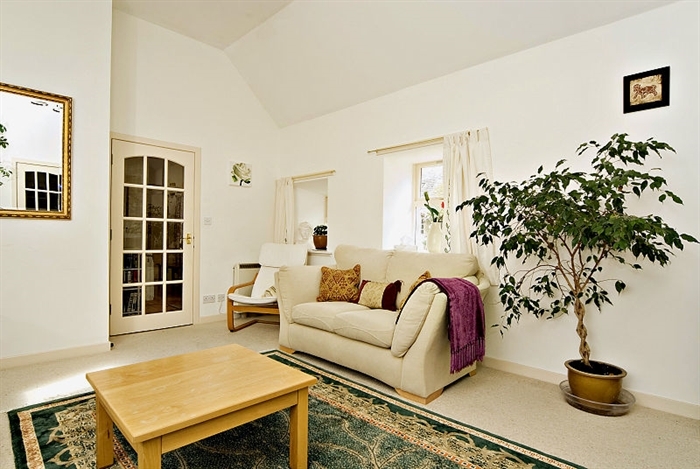 The cottage is bright, spacious and exceptionally well equipped throughout with an eye on relaxation, comfort and home entertainment. 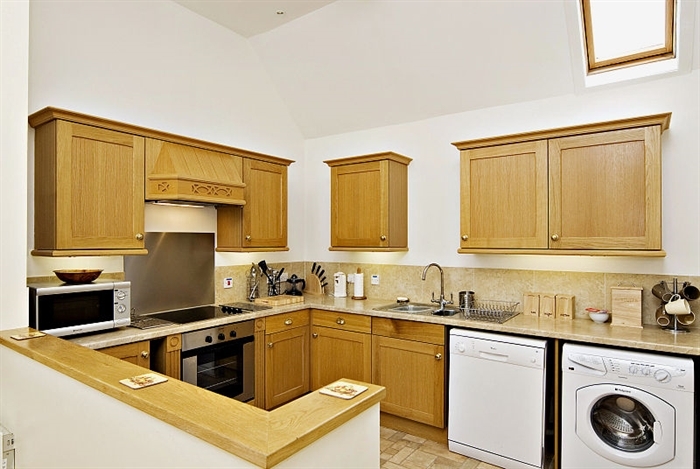 There are a host of additional extras included in the charges such as a special Welcome Pack with essential and useful provisions, heating and lighting, laundry facilities, a PC with broadband internet access, television, a library of books and games for all ages and much more. 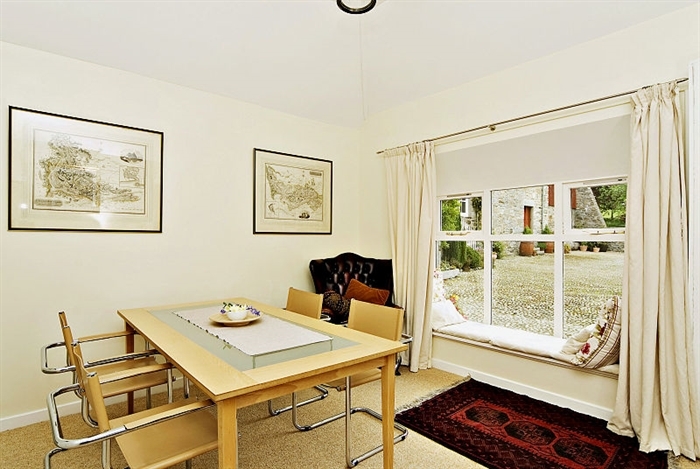 We aim to make your stay, whether for a private retreat, holiday with family and friends, or with business colleagues unforgettable. 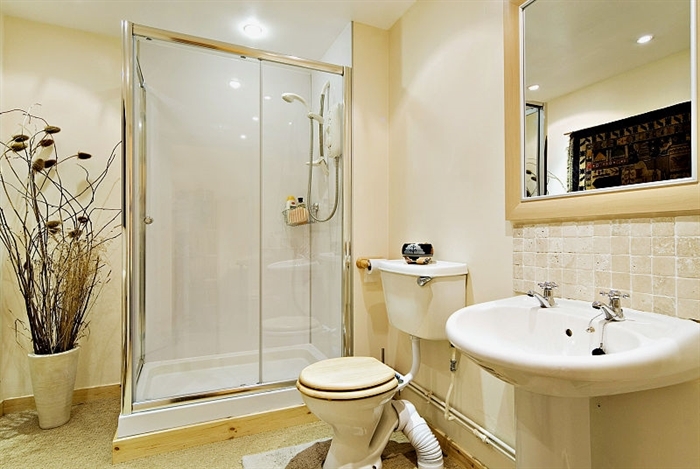 Sleeps 4: 1 king size, 1 twin, lounge, dining room/ relaxation room, kitchen, shower room, and garden. 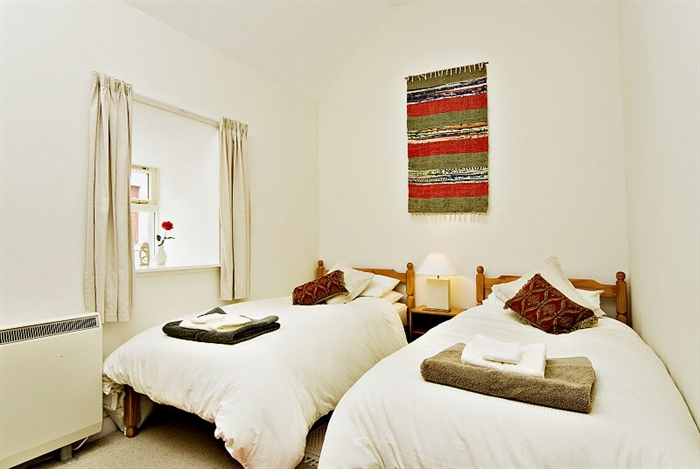 Courtyard Cottage is primarily designed to provide spacious, luxury accommodation ideal for 4 people. One additional bed can be provided.